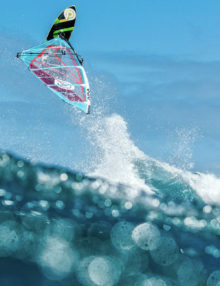 On the one hand, the super hero captivates with manageable top end performance, even in nuking spots such as the canaries or south africa, remaining perfectly controllable even in extreme overpowered jumping conditions. On the other hand, it offers powerful acceleration at the lower wind limit, for down the line riding on maui or mauritius. 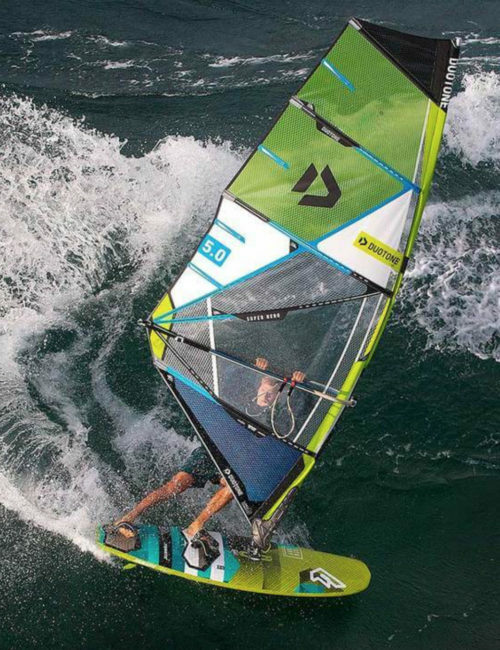 Designer kai hopf has moved up the batten above the boom increasing the gap to the foot batten similar to a 3 batten sail. 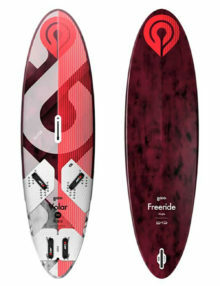 This free.boomzone.concept provides an incredible on-off feeling on the wave. 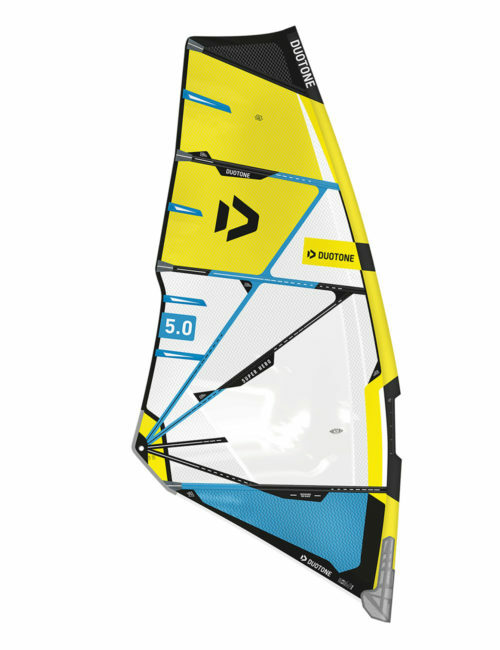 The batten-free area is super easy to pump and offers less resistance for the wind to fill out the profile in the wind in the underpowered conditions, similar to a 3 batten sail. 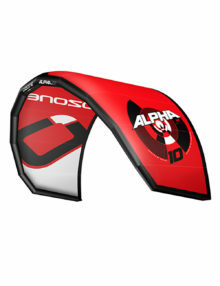 However, in order to ensure high amounts of stability in strong winds and performance throughout a massive wind range. 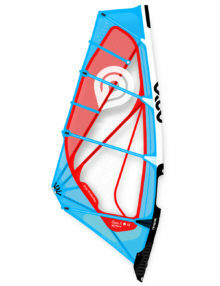 Kai uses two mini.batten and the hollow.lower.leech directly above the boom. In addition, radial.load.stripes starting from the clew stabilize in particular the boom-free area and ensure an even load-distribution. The result is a 4 batten wave sail with incomparable wide wind range, combining maximum low end power with control and stability. 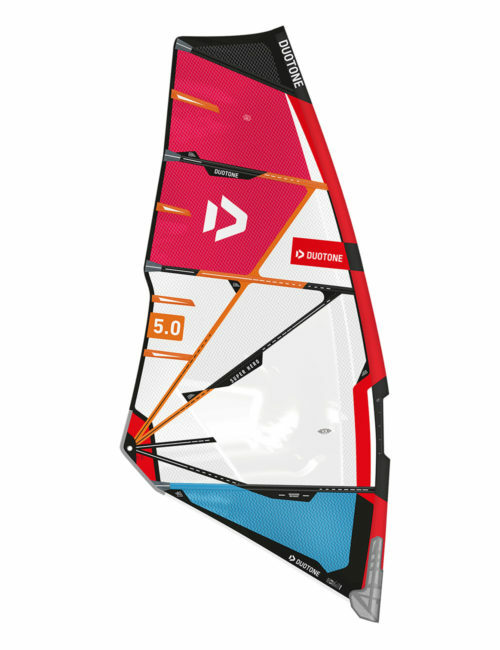 The low weight makes for incredible handling, while rigging you can already imagine how light and soft the sail feels. The rotation is as smooth as silk, even with minimal outhaul tension. The top of the sail works very effectively to support the power. 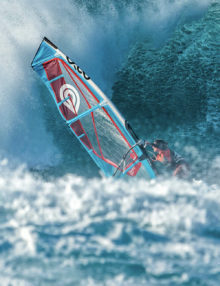 Therefore you can safely choose a sail size smaller than with many other wave sails. This applies to almost any rider, regardless of their weight. 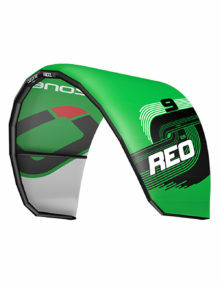 Sail sizes range from 3.0 up to 6.7 to cover a maximum range of use. To ensure maximum draft stability the 3 largest sizes feature a 5-batten layout. basically identical, the super hero hd comes without monofilm even in the main window panel. 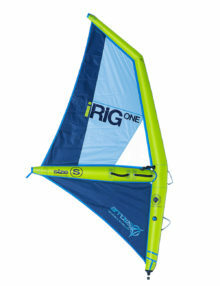 The iRIG makes learning how to windsurf a piece of a cake, since it’s a whopping 70% lighter than any conventional windsurf rig and it is completely floating on the water. 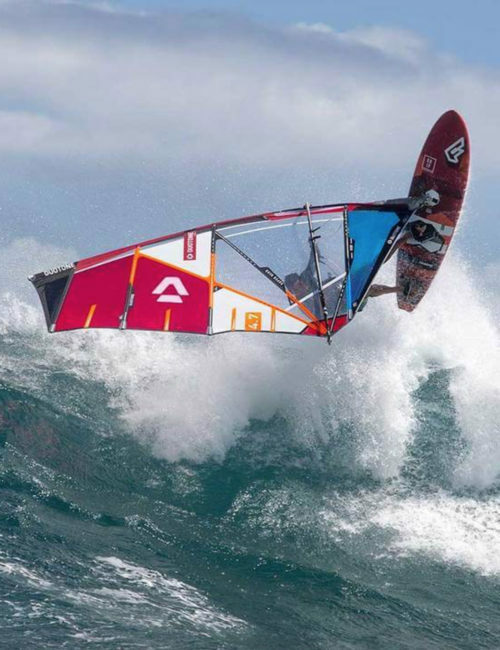 Everybody can have fun in low winds, instantly. 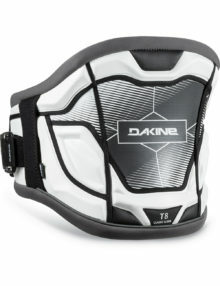 Effortlessly enjoy the thrill of the greatest sport on earth without the usual pain of constantly falling into the water. 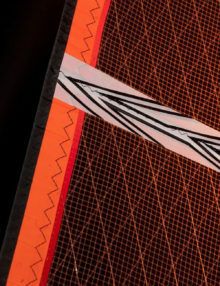 The 2019 Fringe X Pro is virtually the same sail as the Fringe Pro, except for it’s window material being X-Ply film with spectra yarn reinforcements for maximum durability. 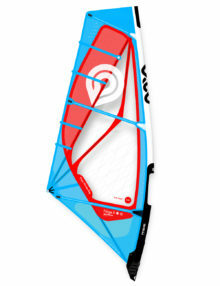 The Guru X Pro is the traditional wave sail. 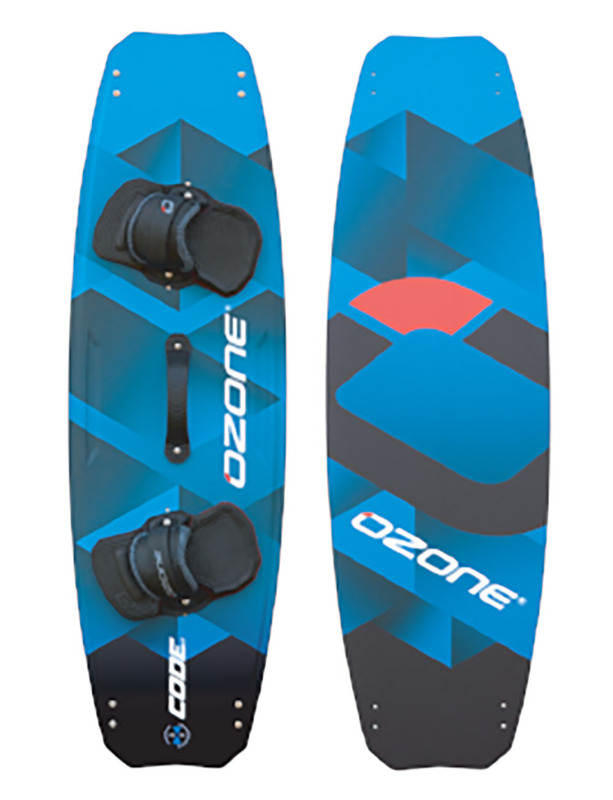 Proven, popular and just right for sailors looking for easy power, comfort and control in wave and wave style conditions. 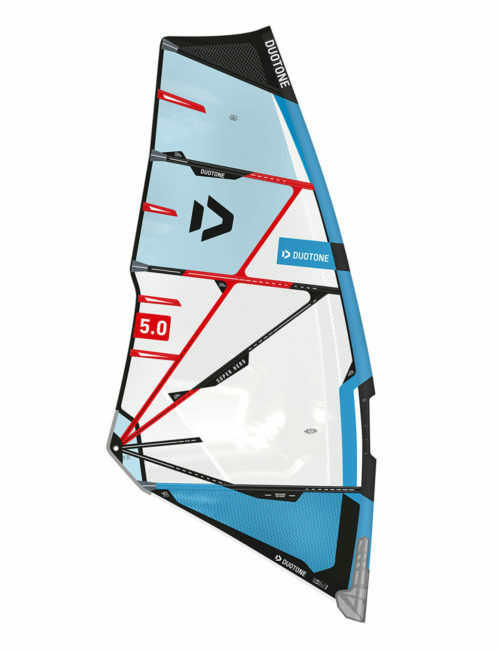 The Compact series is our greatest innovation to date, providing a complete sail quiver and rig that fits in a back pack for easy storage, easy travelling and easy handling. 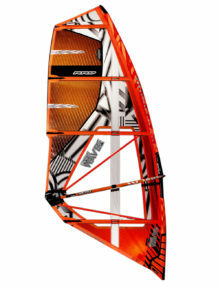 The Compact Wave is a high performance fully functioning windsurf rig which offers 100% performance with zero compromise.